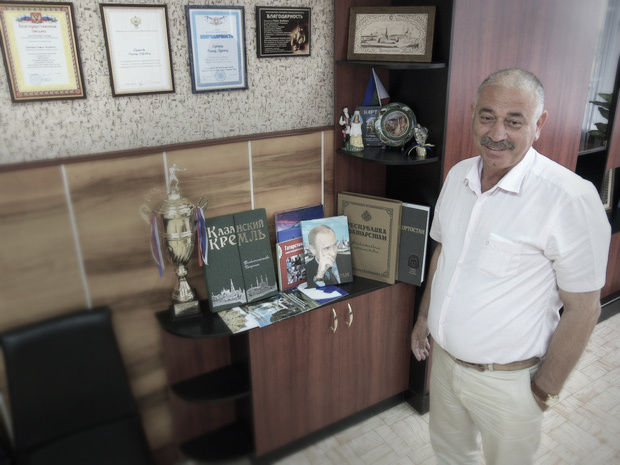 A very entertaining interview with the head of the Bakhchisaray district of Crimea about the mood of the Crimean Tatars and the current problems of integration of the Crimean Tatar population in the new Russian reality. 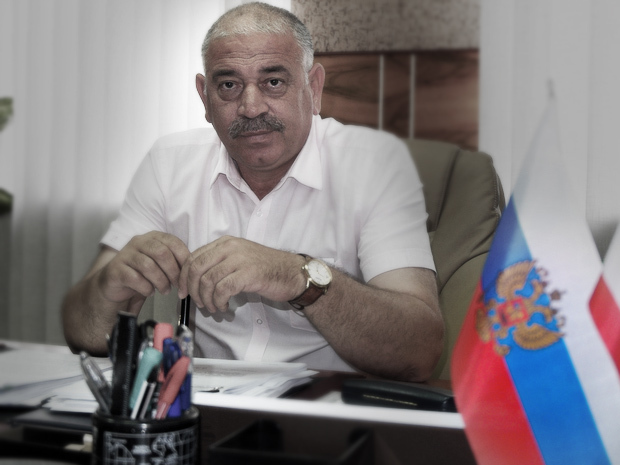 The head of the Bakhchisaray district of Crimea, the chairman of the district council Refat Dedarov, who refuses to call himself an official, in a frank interview with Real’noe Vremya expressed the view of a group of Crimean Tatars neutral towards the Russian authorities. He admitted that “the people who were falsely accused, of course, it will take a while to win their trust,” but he noted that at the moment the Tatars have more rights and opportunities than ever before. Interviewer: The national question in Crimea is being discussed by the whole world community. At the Congress in Ankara even the word “genocide” was used in relation to the Crimean Tatars. How much is speculation and how much is true? 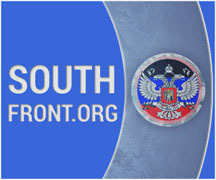 What is really going on currently in the Crimea? Refat Dedarov: In Crimea, life is getting better. As the head of the republic told us: “it should be better, not worse.” So, we’re working hard, ten to twelve hours a day, towards this goal. Clearly, the legacy that we inherited differs greatly from the legal framework of the Russian Federation, so it will take some time. To help you understand, our last school was built in 1972, and our last kindergarten—in 1976. To start down this path, one must first do the paperwork, which Ukraine never did. Today, with the help of the Republic of Tatarstan we are preparing a school with 640 places with in-depth study of the Crimean Tatar language, as well as two new kindergartens. I: Has there been a split among the people? RD: Yes, there has. The people who were falsely accused, of course, it will take a while to win their trust. Clearly, when it happened, our leader was pursuing a policy such that today his authority is used by another state, not the people in whose name he is doing everything. Ukraine took advantage, as well as others. But I believe that a leader has to be with his people. I: Did Crimean Tatars who are currently living in the peninsula travel to Ankara? RD: Yes, we went; maybe a dozen people. But in their statements, I did not hear any attack on Russia or the President. There was an emphasis on the people’s rights, on studying their native language, on reinstating the old [i.e. Crimean Tatar –ed.] names of their villages. These issues were raised. Although, when I hear how Kiev suggests giving the Crimean Tatars national autonomy, I do think: and why not change the name of any US airport to Sultan Ahmet Khan? For twenty-three years they did nothing, but now they have begun to actively recognize and love the Crimean Tatars. I: Did Ukraine not implement any policies in regard to the national question? RD: Look at Yatsenyuk’s statements. Look at even the statements of Petro Simonenko. Look at any of the statements of previous Ukrainian presidents. Where did they say anything about the privileges of the Crimean Tatar people? Yatsenyuk was loudly grandstanding about Crimean Tatars “land squatting”. But people weren’t squatting because they had a good life. Besides, they were not seizing land that belonged to anybody; it was empty land. And secondly, when the Crimean Tatars returned to Crimea, none of us demanded “give me back my grandfather’s house”—we only asked for compensation from the state. And they did everything by themselves; they built homes themselves. If these houses—which were built without loans, without credit—are big, that means that the people are hard-working. We are in our homeland. Today it is possible to discuss everything from the outside, but what kind of a patriot are you if you left home and ran away? You know, I have studied the history of Tatarstan very well. I know that the first president held meetings every Saturday in which up to fifty thousand people would gather and discuss a lot of things. He never slammed the door, he stayed with his people. And today in Tatarstan they are reaping the fruits, as we can observe. Meanwhile in the Crimea, pipes that have been broken since 1968 have not been changed because Crimea was not a priority. We waited, we chose new presidents. Yushchenko came, a good president, let’s vote for him. Well, he won, he came here, and what? He did not legalize any of the lands taken over by Tatars. He did nothing at all for the Crimean Tatar people. When, in 1988, we returned to the Crimea, we came to our homeland, not to Russia, the USSR or Ukraine, we came home. And all of a sudden our homeland became Ukraine. I: How many Crimean Tatars left the territory of Crimea for political reasons? RD: The figures are very rough. I headed the Poshtovsky village council when it all happened. This is one of the largest rural settlements located in the territory of Bakhchisaray district, in which there are only thirteen large settlements. And from there I know for certain of one man who left the area with his family. Today I cannot say that a thousand, or ten thousand, people have left. But if even a thousand left the Bakhchisaray district, it would have been noticeable. Well, I do not have any figures as I said. Since the conflict that is happening now is not a problem between the Crimean Tatar and the Ukrainian people, we are always met in the Ukraine with bread and salt. This is a fight between politicians. It is the easiest thing to do—to jostle, to divide and then to rule. And I do not believe in the mass exodus of Crimean Tatars from here; it would have been easily spotted. I: Because with so few people in the area the movement would have been obvious? RD: I live here and I am absolutely not a desk-jockey, nor a functionary. 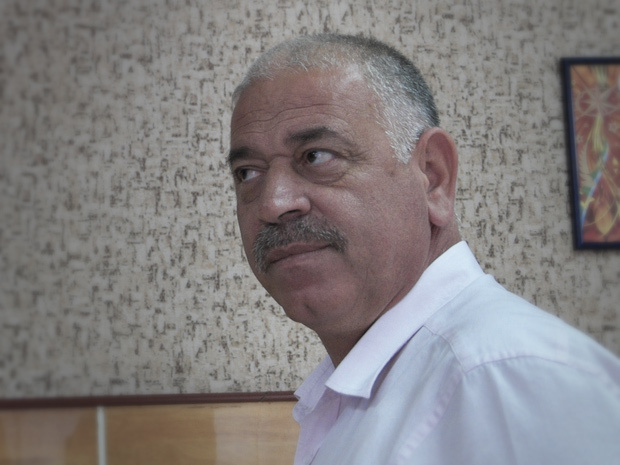 I: Speaking of functionaries, why did Ilmi Umerov, the former head of the district, leave? RD: I was at his last address to the nation. I saw many videos of him during Yanukovich’s time, when he said that he would serve the people. Aksënov, in April 2014, was here. Umerov acknowledged that the Crimea is an integral part of Russia, and that Putin is our President. Then he left for Kazan, for some medical treatment. And then in August, he resigned, citing the fact that did not want to take the oath. But what was the matter with the oath? If I had not wanted to work in the legal framework of the Russian Federation, I would have come after the referendum, resigned and left. Why serve another six months? To file for disability, hit the road and retire? It does not add up. I saw how everything was here, before and after the referendum. For the first time in the presence of Ilmi Rustemovich [Umerov –ed.] here, in the Khan’s Palace, Russia Day was celebrated; Naryshkin also came. But today—Russia is the occupier. Then you should not have done any of this, if you say that she is the occupier. Or did you only realise six months later that she is an occupier? I: What is currently foremost in the national question—economic or political problems? RD: The economic part of the “social sphere” is now number one. Maidan or antimaidan, people will understand, the people cannot be fooled. You can do a lot of talking. What is next? You drive on a road—there is no road. You want to place a child in kindergarten—there is no kindergarten, there is no electricity, no gas. Well, again it’s about politics; is there any sense in it? I am constantly calling on the Crimean Tatar people to unite and to start working. Because today we have more rights than ever before, more opportunities than ever before. In terms of the format of elections that was proposed by the Russian Federation, the Crimean Tatars would easily win elections in the densely populated territories. We would go for whoever has show some progress in their work. Because no one will come from a neighbouring village and do all the work for you, as long as he has not completed everything in his own village. This is normal, no deputy can be offended by this. 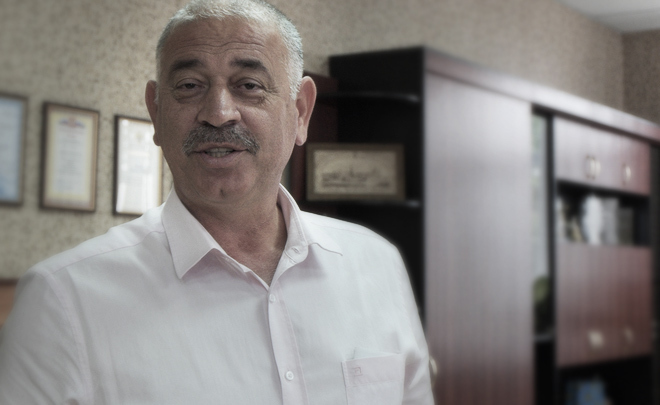 I: So is the problem that the Crimean Tatars do not want to come to power? RD: Today, a lot of things are changing. Today even those who used to scream from the tribunes would not be opposed. Because the return of the Crimea inspired even the Russian mainland to start working. Now the bridge is being built to here, and Bakhchisaray already does not lag behind Tatarstan. And we have such potential which you could not find in the whole of Tatarstan. Take the mountains, the forests. When you show me your mountains, they are about 200 or 150 metres high. I praise them, of course, but if our Ai-Petri is 1,234 metres high, what should I say? The potential is huge. It just needs work. PS. As for the issue of “land squatting”, it is on old and sensitive question, considering that it has already caused a lot of conflict even in the Ukraine. Actually, the promise is clearly visible that they need to work and there is an expectation that something will be done for them, given the fact that Ukraine did nothing. Things like linking individual villages to the gas network, construction of new schools and social infrastructure, development of the transport network—in such banal work they are much more motivated to work together on the development of the Crimea than in bombastic headlines. PS3. The case of the killing of two Crimean Tatars in the Crimea was also resolved. Junta media had already started yelling about repressions and genocide, but reality was far more prosaic—the two Tatars [Memet Salimov and Osman Ibragimov –ed.] were brutally stubbed by a Ukrainian citizen in their own home as a result of a domestic dispute.